A new review from i-sense members, published in AIDS, looks at the last 20 years of research around diagnostics that use p24, an important protein in the detection of early stage HIV. In recent years, the United Nations General Assembly has made a major shift in focus for the field of HIV and AIDS beyond optimisation of palliative control to an ambitious goal of ending the AIDS epidemic by 2030. This begins with the adoption of the 90-90-90 targets; 90% of people infected know their status, 90% of those are on treatment, and 90% of those on treatment have undetectable levels of virus. Detection of HIV early in infection remains a key challenge towards achieving the first 90 target. “Early stage diagnosis of people who may be unaware of their status plays a key role in HIV prevention,” says Rachel McKendry, Professor of Biomedical Nanotechnology at UCL and Director of i-sense. This review looks at over 20 years of research and clinical use of tests to detect p24 early in infection. 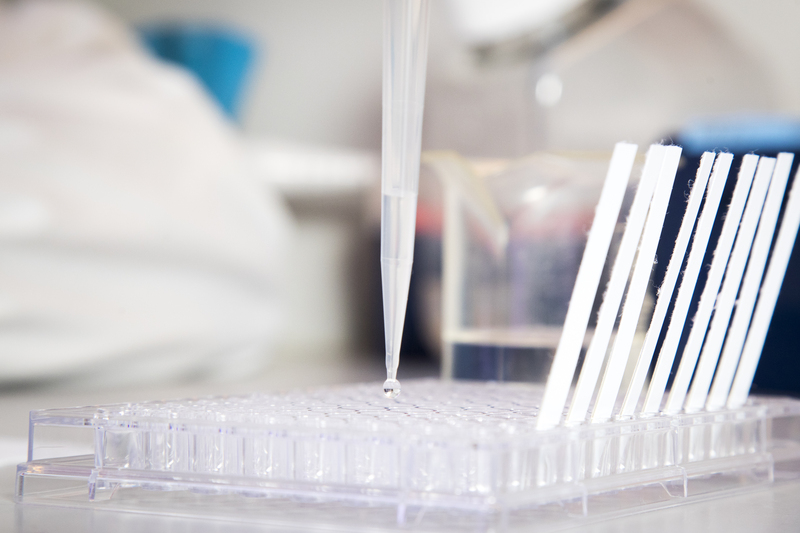 “Point-of-care diagnostics that detect the p24 protein are a promising solution to early detection of the virus as this protein is detectable two weeks after someone has been infected,” says Dr Eleanor Gray, lead author and Postdoctoral Research Associate in the i-sense McKendry group at UCL. Despite this promising solution, there are still challenges and complexities with such tests, which have prevented them from being translated from the lab to field, especially to resource-limited settings. The review identifies groups that are challenging to diagnose at early stage of infection and would benefit from the development of a p24 antigen-based test, including infants under 18 months, adults with acute infection, adults already on pre-exposure prophylaxis (also known as PrEP), self-testers, and people in HIV vaccine trials. In areas where there is high prevalence of HIV and where the facilities and technologies to perform more complex testing is not available, a simple point-of-care p24 test to detect the virus could be transformative. Recent work has shown that an optimal test that requires transporting the sample offsite can be less beneficial overall than a simpler test that can be performed onsite, even if the simpler test is not quite as sensitive. “The future for HIV testing and care will need to include point-of-care tests that are suitable for all diverse population subsets in all potential settings,” says Rosanna Peeling, Professor and Chair of Diagnostics Research at the London School of Hygiene and Tropical Medicine, and i-sense Flagship 1 lead (system needs). The review recognises that the development and translation of simple low-cost diagnostics in the field is challenging, however the advantages of such tests will only be realised when they are able to detect the virus significantly before antibody tests and are potentially easier to use than current rapid tests. More investment and funding is needed for fundamental scientific and clinical research, as well as technology development and to aid the translation of cutting-edge technologies for p24 detection to move from the lab to the field. The review recognises that there is a need for further clinical studies with the most up-to-date tests, as well as an analysis of the health-economic benefit and the use of such tests in emergent population groups.